As brand marketers, we always think about creating the best, and if not, the edgiest POS display unit. We always want what’s best for our brand even if sometimes, we go over our marketing budget — which shouldn’t be the case. Fortunately, we found a bold approach when it comes to freestanding display units. 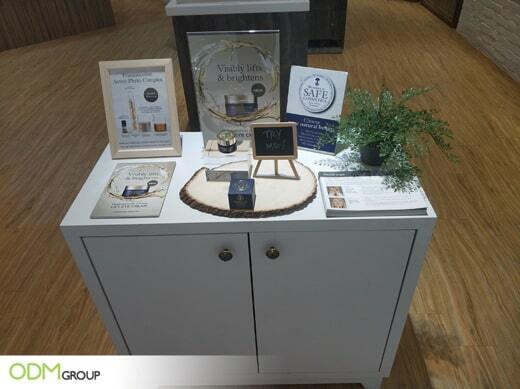 When everyone is making loud and flashy displays, Neal’s Yard Remedies has decided to create a minimalistic Cosmetic POS display. 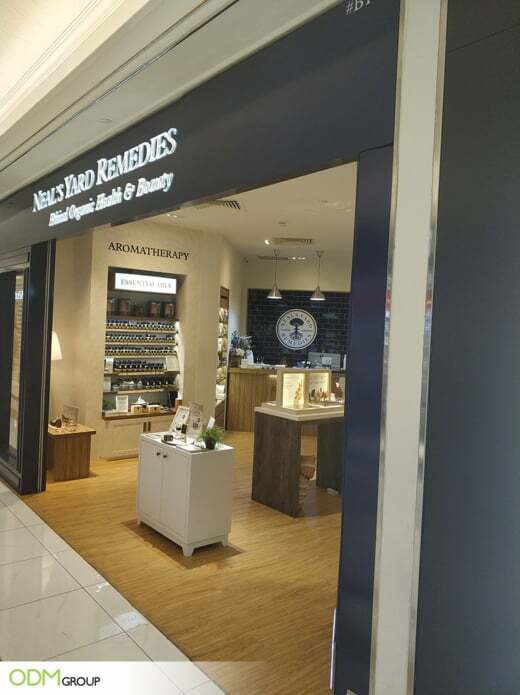 Why this Cosmetic POS Display Gets People Talking About Neal’s Yard Remedies? Strategic Placement– The display was placed by the entrance of the store. Certainly, it tempts customers to check out the products and make a purchase eventually. Since the design is neat and relaxing, it easily catches the attention of passersby and consumers. Cost-Effectiveness – The brand uses mainly wood on this custom POS display. Because wood is relatively durable and sturdy, the brand can use it for other campaigns. No need to worry about the utility life as it will definitely last for a long time. If you want to see another wooden display, please click on the link below. Simple Design – If the design is over-the-top, it may backfire as consumers may associate the products as expensive. So, it is important to consider the type of POS display stand and your brand message before making one. In this example, Neal’s Yards Remedies’ cosmetic retail display seamlessly integrates its presence into the minimalist design of the shop. Furthermore, being a brand that pushes for the use of natural and organic beauty solutions, the materials and all the elements thrown into the ensemble highlighted what makes the brand relevant. Overall, your POS display design could make or break your sales. If you have such a messy display, customers would automatically skip your brand. keep it simple and make sure to get your message across with simple yet meaningful designs. If you need help with designing and manufacturing POS displays for your brand, feel free to contact the ODM team anytime.Whether you need simple or bespoke branded retail displays our team of designers is ready to help you out- from concept creation all the way through production. A hanging POS display boosts your sales and improves your brand visibility. Check out this simple yet functional example by Mentos. Here’s a good example of an extravagant POS display that might be perfect for your brand. Learn what qualities made this an effective in-store marketing display!